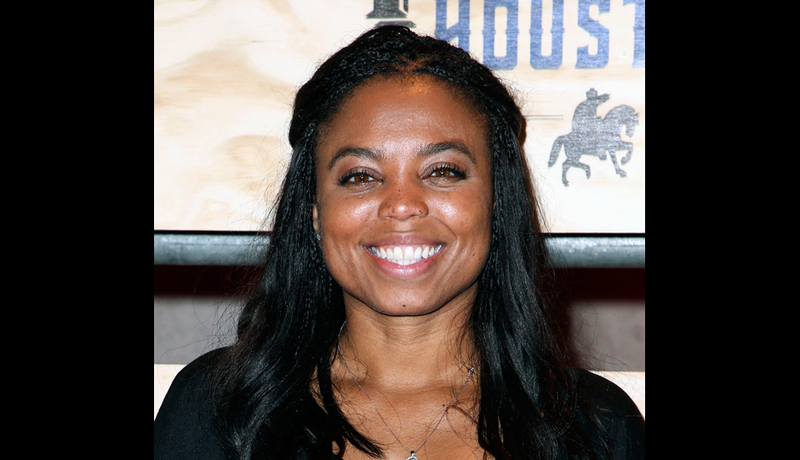 A blowup over the Jemele Hill Twitter controversy leads to a termination. By Joe Trinacria·	 9/20/2017, 2:46 p.m.
Jemele Hill in AP photo. Hill’s comments drew ire from big shots at the network and she was reprimanded, much to the chagrin of White House press secretary Sarah Huckabee Sanders, who called on ESPN to go all the way and fire Hill. 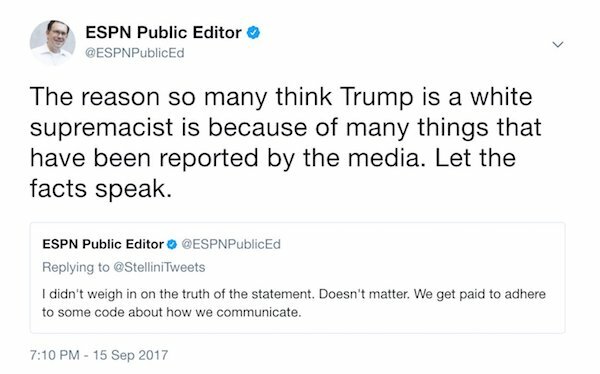 Former Phillies ace and onetime ESPN employee Curt Schilling called Hill a “racist” in an interview with Michael Smerconish on CNN, and earlier this week, Brady (who also works as ESPN’s public editor) himself took to Twitter to share his personal thoughts on the hot-button situation. I didn't weigh in on the truth of the statement. Doesn't matter. We get paid to adhere to some code about how we communicate. No one is saying no one can ever use labels. I'm saying that, in journalism, they're a distant second to stating facts to make same case. 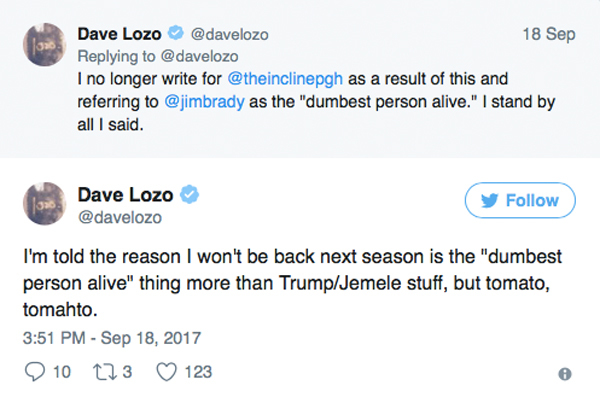 Brady told Philly Mag that he’s been barred from going on record about ESPN, Jemele Hill or his tweets in response to her statements. “And I’m perfectly happy not to talk about it anymore,” he said. However, he was willing to speak to his firing of Lozo. According to Brady, the decision to fire the writer wasn’t a tough one at all. “Those who suggested it was a stupid call have likely never run a company, so they don’t understand how important it is to have people around you who believe in what you’re doing,” he told Philly Mag. So what’s the lesson here? Don’t bite the thin-skinned hand that feeds you? Withhold the urge to effectively request your own termination on social media? 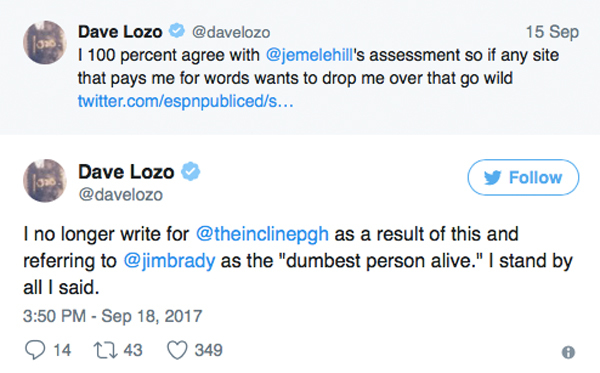 Lozo didn’t immediately return Philly Mag’s request to comment.